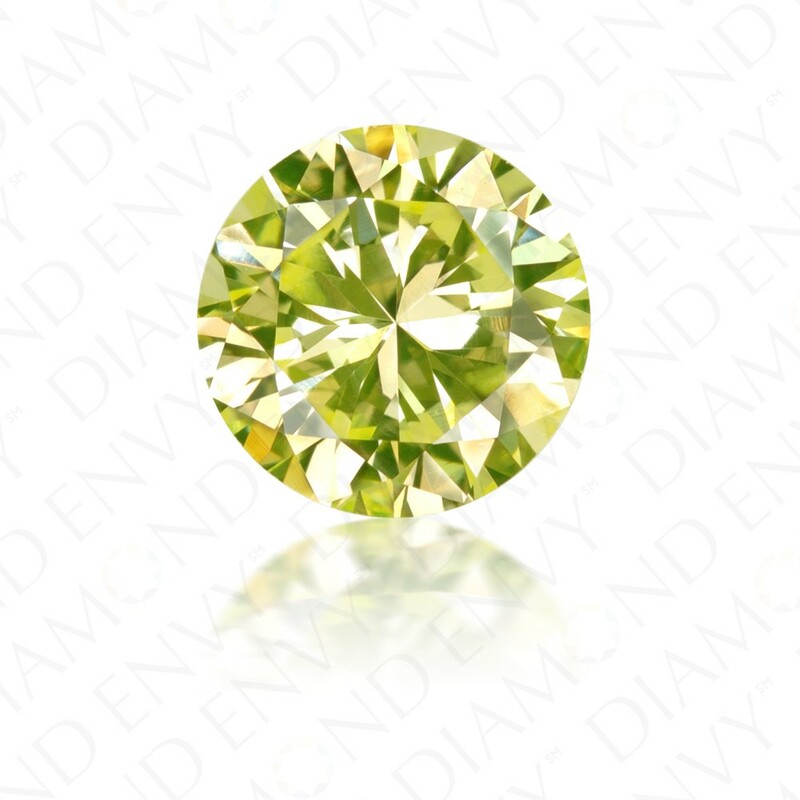 The color in this 0.75 carat I1 round brilliant cut Natural Fancy Intense Green-Yellow diamond is evocative of the color of a ripe pear. The color is evenly divided between green and yellow with yellow being slightly more dominant. 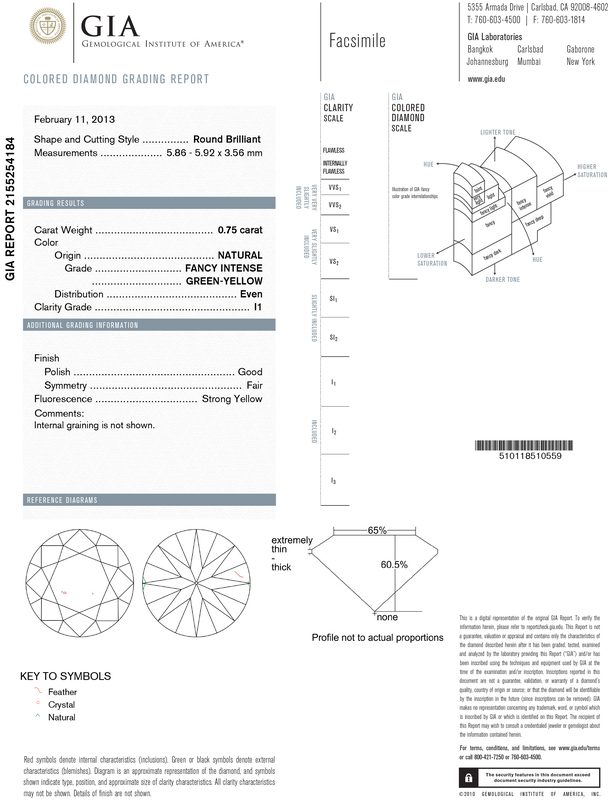 Captured in a very rare round brilliant cut, this diamond, replete with phenomenal brilliance and fire, will make a stunning center stone in a ring. GIA-certified.